I’m hoping that many Hearts & Minds customers will click on over to the larger May 09 Review Column to see my annotated bibliography of books of nature writing, devotions for the outdoors, backpack inspirations and memoirs of gardening, hiking and such. It is a great list, if I do say so myself, with a mix of titles and authors I suspect you may not find in any other bookshop anywhere. Here is how I introduced the list. We hope it invites you to check it out, maybe order some. Enjoy the Springtime. Thanks for reading—-we couldn’t be booksellers if there weren’t good readers. adventure, outdoorsy stuff. You can read that old review here, and I would be pleased if you did, as I still hold her work in utmost respect. genre is an old one with many classics, and it continues to grow and there are authors who take my breath away. literature that I truly love. 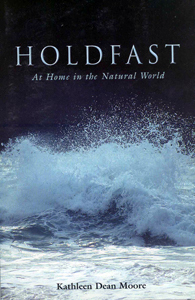 Sabbath reading, or a book to take along on a day hike or vacation. 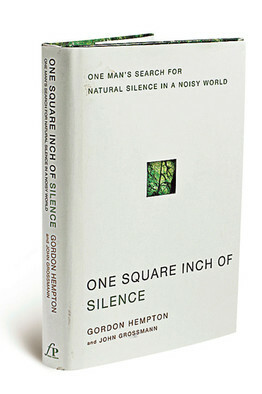 If you skip on over to the monthly review column, filed under May 2009, you will see I start off with One Square Inch of Silence: One Man’s Search for Natural Silence in a Noisy World, an earnest and interesting story of a road trip by the world’s leading recorder of natural sounds, Gordon Hempton. I only describe it a bit, but could say much more—it is fascinating! 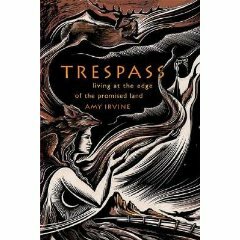 I list a book by the Adventure Rabbi, (yes, there is an Adventure Rabbi, and she rocks), classics like Desert Solitaire, and philosophical studies on the nature of landscape and place. Mostly, though, fun stories of those who love the great outdoors. One title is called Heaven is a Leaky Tent. Another brings luscious reflections on the beauty in creation, and gardening, by an Orthodox theologian.